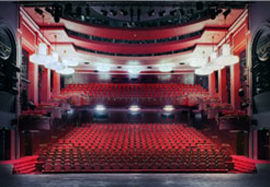 The largest proscenium-arch theatre space (named after Wojciech Bogusławski, the "father of Polish theatre") seating the total of 597 people over all levels: stalls, balcony and boxes. A flexible studio space seating up to 165 people. 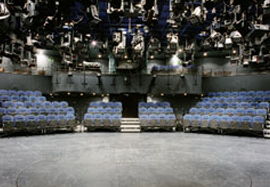 The movable platforms produce various stage-audience arrangements: traditional, integrated, en ronde, etc. 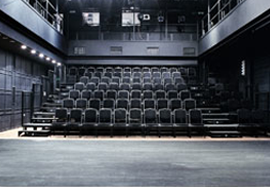 A studio theatre which seats 84 people. Located at the third floor of the Wierzbowa Street theatre building, it is accessible by lift or stairs.